Sunny. High 82F. S winds shifting to NW at 10 to 15 mph.. Seasonal produce from Pickalittle Farms is featured in Dot x Ott's menu as well as its mercantile. Starting this week, customers can enjoy the fresh vegetables and greens in entrees or take some home to come up with their own dishes. Locally produced Ayden's Eggs is one of the offerings in the cold cases at Dot x Ott. 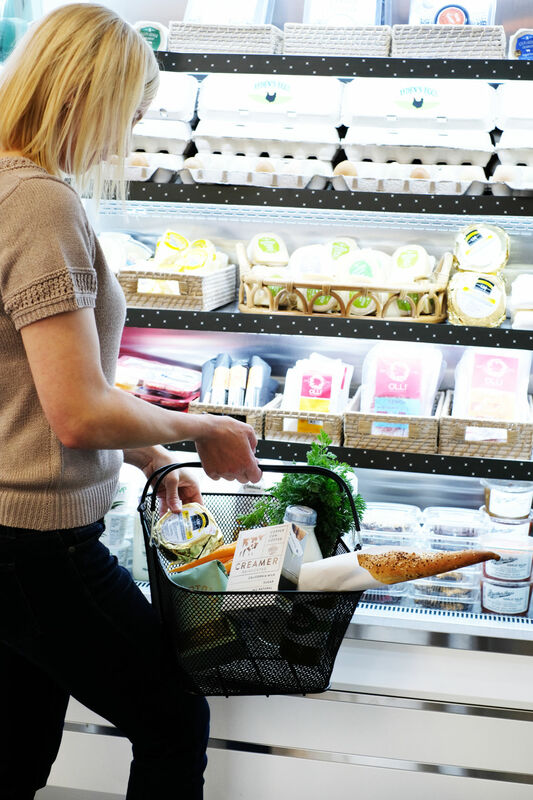 The eatery and modern mercantile offers a mix of local and curated grocery and kitchen items. Owners Jeremy and Jessica Blackwell are excited to bring their vision for a seasonally driven eatery and mercantile to downtown Bakersfield with the new Dot x Ott. The weather is nice and the patio is waiting at Dot x Ott, the new eatery and modern mercantile open in downtown Bakersfield. Bone marrow for breakfast? It is when you start your day at Dot x Ott. The new eatery and modern mercantile serves marrow and eggs, with beef marrow, sunny side up Ayden's Eggs and pickled vegetables with sliced house baguette. The tempura fish tacos at Dot x Ott feature wild California black cod fried and served with spiced mayo and house slaw in a scratch-made cilantro tortilla.